which part does JBiz play? 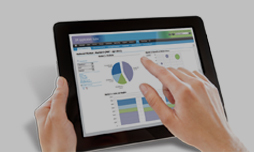 JBiz integrates with your ERP or Accounting System and is the over-arching business process cockpit. It performs all the everyday tasks to keep your business optimised and running smoothly by means of a browser. The JBiz Wholesale Distribution system is a very powerful stock management system which enables companies’ to achieve complete control over their ranges and supply chain. Without the extent of visibility across the business JBiz provides companies are not able to refine its purchasing to Consumer Driven Demand precision levels. This means that the business will be flying blind to a large extent and would carry significant risk from its supply chain in that all forecasts and in particular style/option/size/ profiles would be guesswork to a large extent. Accuracy in this area alone brings about greatly enhanced efficiencies and profitability. So not only has it been built for companies looking to improve operational efficiencies, JBiz provides perpetual inventory and delivers 360 degree visibility across the business. This visibility is linked to rich functionality, with point-and-click workflows leading to dynamic, responsive, profitable wholesaling and distribution. JBiz Wholesale has exciting easy-to-use processes which optimise distribution businesses. JBiz has very powerful business intelligence functions “out of the box” and natural strengths in style/colour/size/fit. It’s well worth a good look to find out if it’s right for your business too. Enter here your hidden content and play…. Seamless robust integration is a JBiz fundamental and easily integrates with most ERP’s and Logistics systems. Integration technologies used are common and uncomplicated. JBiz is able to continue operating fully even when these companion systems fail. Business to Consumer Web Channel – JBiz Enterprise eStore. The JBiz B2B system has comprehensive product Catalogue and Product Management functionality. This includes rich product information such as technical information, descriptions and variants. Product Management also provides a sophisticated pricing capability to maintain complex price structures for each product and holds both free-to-sell stock levels by warehouse and actual stock levels by warehouse. This capability is a significant advantage for a company’s Internet Sales and gives immediate availability levels and available to promise. JBiz can flag which products are sold via the B2B site and can remove products when inventory levels drop to a set threshold. JBiz Product Management enables alternative product associations so customers can see purchasing options at the time of ordering, so can help drive behaviour. The JBiz central data store functions as the repository for all enriched product information for use in eStores, CRM, email marketing, Catalogues, newsletters, advertising briefs, range management, and promotions. JBiz does dynamic “bottom up” forecasting at the variant level. Any time a transaction occurs in the business it is immediately reflected in the forecast. JBiz forecasts either by direct projection of historic sales, or by first calculating the correct percentages of each size within a style and applying the forecasted quantities to variants by the percentages. This second way is called Forecasting by LINEAGE and is used to predict with great accuracy the shape of the market for a given product and customer. JBiz forecasts quantities across the colour/size/style/time grid by these percentages. These percentages are calculated from the historic sales performance of the product’s predecessors being grouped by style/colour/option/size/fit, producing relative percentage splits, which are then applied across the variants of the current product. The lineage percentages are continuously refined through the inclusion of new sales transactions, inventory knowledge and by retail store feedback. The result is highly accurate forecasting and purchasing which goes a long way to avoiding over and under stock situations. Demand forecasts become the purchasing quantities. Forecasts are in a dynamic state giving continuous forward stock views. These are dynamically updated with recent sales activity to accurately reflect the reality of the market. This updated information is used to “Optimise” stock for a given period. Based on lead times, the user can then “Jump to Purchasing” taking the forecast, current demand, and deduct future ordered stock, and provide pin-accurate quantities which need to be bought. JBiz enables the wholesaler to guarantee optimal stock levels in the business for any period of time. The quantities are calculated by size based on the sales to date of the item and projected out by the selected time period. Any existing Stock On Hand is deducted from the optimised quantity to be purchased giving completely accurate stock optimisation for the required period. This approach produces an optimisation result which is based on “Consumer Driven Demand”. Track sales performance by customer by rep against budgets. Contact Us to find out more.